Most office drones assume paperclips can only be used with stacks of documents. But somewhere out there, someone has realized that the clipping power of paper clips could keep control of an annoying headphone cable—and now we have a brilliant solution for wrangling earbud wires. These Paperclip Headphones have a hollow plastic design that allows the cords from your earbuds to pass right through. 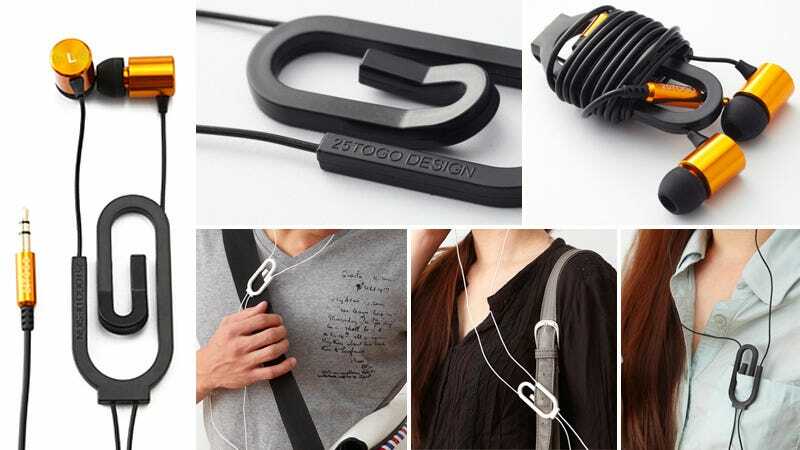 So you can adjust the position of the clip along the length of the cord, and then secure them to your shirt pocket, bag strap, or any place that makes wearing wired headphones far less annoying.